Built on nearly 25 years of real-world data capture expertise, our ecosystem of hardware and software tools delivers high quality, real-world activity and sleep data through a flexible cloud-based technology platform designed around the challenges and complexities of the clinical development process. 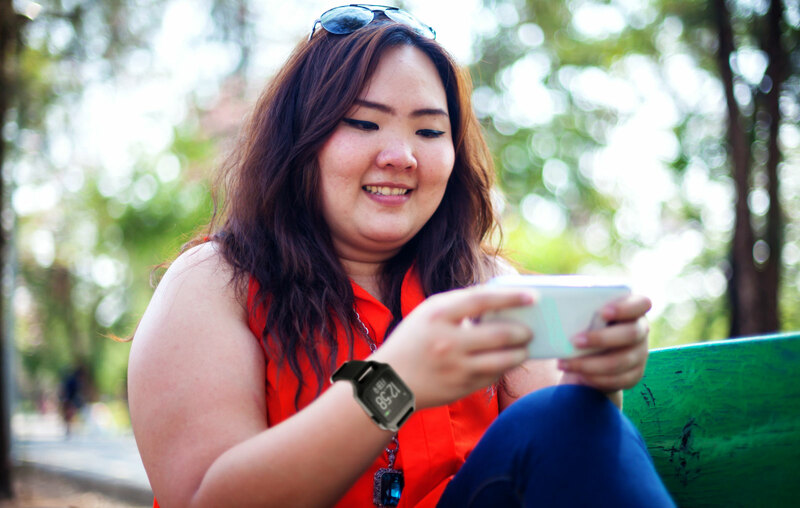 Our medical-grade wearable solutions have been deployed in dozens of pharmaceutical drug trials to capture real-world patient measures relating to physical activity, mobility, and sleep behavior. 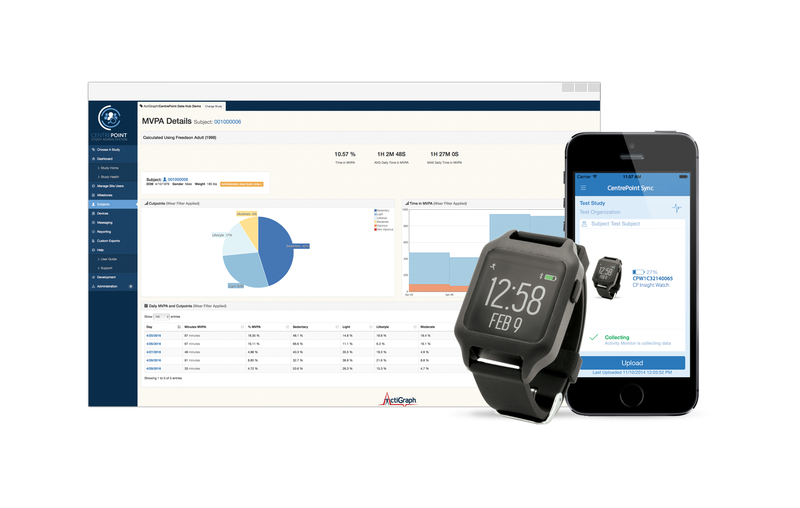 ActiGraph is ISO-13485:2016 certified, and our activity monitors are FDA 510(k) cleared Class II medical devices in the U.S. and adhere to regulatory standards worldwide. Patient activity, sleep, and study adherence data are continuously transmitted to the CentrePoint system, where they can be accessed by investigators and study personnel in near real-time. The ability to monitor patient behaviors remotely provides sponsors with faster and better insights, improved decision-making abilities, and greater trial oversight. Leveraging cloud, wireless, and mobile technologies, the CentrePoint system provides flexible data capture and transfer configurations to support various trial designs and methodologies. 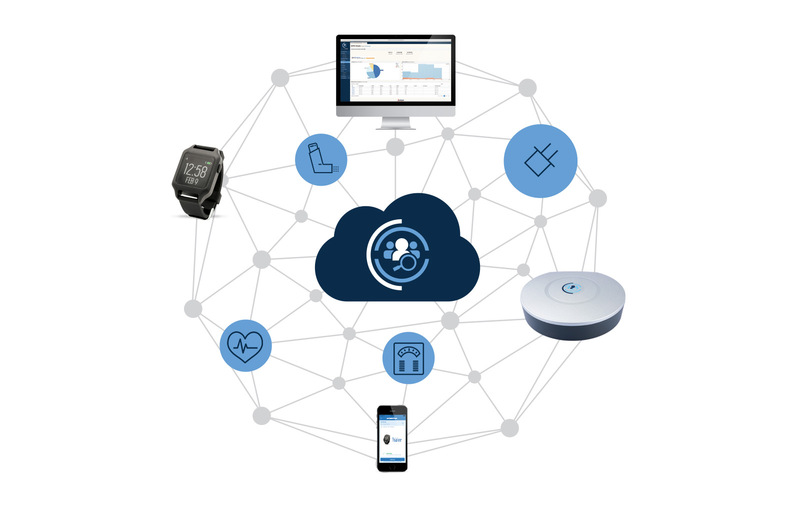 Our ecosystem supports integrations with other connected health sensors, ePRO tools, custom mobile applications, and third party EDC platforms. ActiGraph uses public algorithms developed by the academic research community – not proprietary “black box” equations – to convert raw data into a variety of validated, population-specific measures, allowing relationships to be drawn to health-related outcomes. High resolution, raw data is easily exported for advanced analytics, including digital biomarker and clinical endpoint development. Our GCP-certified project management team understands the challenges of implementing new technologies into the complex clinical trial environment. 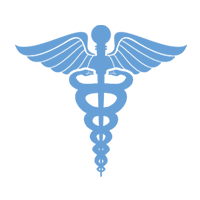 From pre-trial planning to post-trial analytics, we offer a full range of clinical trial services to ensure efficient site processes, smooth technology deployments, and the collection of relevant and clinically meaningful data. Our network of subject matter experts (SME) have extensive experience in the collection and interpretation of activity data in specific patient populations. SME partners can assist with protocol development, endpoint selection and validation, algorithm development, and data analysis. We provide a customized Site Manual and Patient Guide for each study, and our project management team can train your site personnel with protocol-specific on-site or remote CentrePoint training sessions. 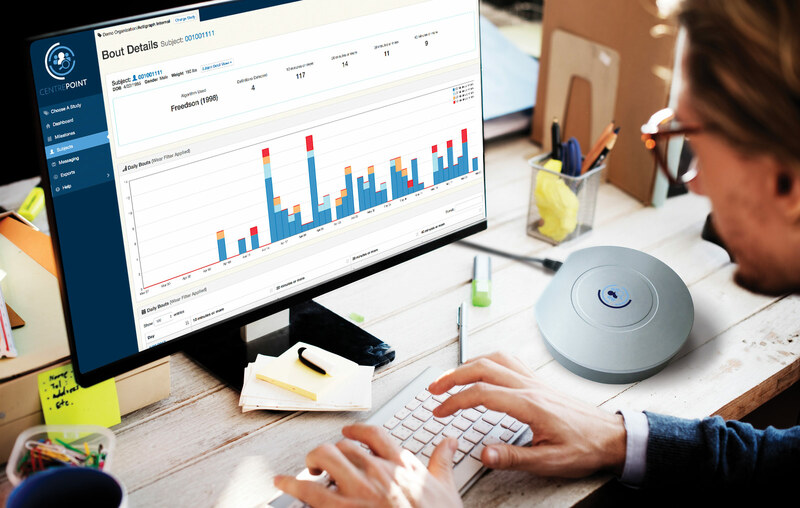 Eliminate the burden of activity monitor disbursement and inventory management. We’ll ship activity monitors directly to each site, monitor study inventory, and handle device repairs and replacements. Help guarantee the integrity of your study data with in-trial data screening. Tiered services include wear compliance verification, site error checks and queries, and monitoring for changes in activity or sleep levels. Our Data Management team can configure your study data to match the specifications of the sponsor or CRO Data Management Team. This includes filtering the data to provide protocol-specific endpoints to the EDC system. With more than 20 years of large-scale, multi-site study expertise, ActiGraph is your premier provider of medical-grade physical activity and sleep monitoring solutions. Please contact our Sales team to learn more or discuss your specific patient monitoring needs.